In the spirit of openness and candid dialogue, the two trade officials discussed ways to address economic and trade barriers between the two nations. Minister Tran Tuan Anh stated Vietnam’s stance and proposals on how to tackle economic, trade and investment issues of the US’s concern, including advertisement on US social websites, e-payment services and import of some farm produce products. He urged the US to soon recognise Vietnam as a market economy as well as make thorough consideration and fair decisions on anti-dumping and anti-subsidy investigation on Vietnamese exports in line with US and the World Trade Organisation’s regulations. He also asked the US to lift the catfish investigation programme and speed up licensing procedures to import fruit from Vietnam. 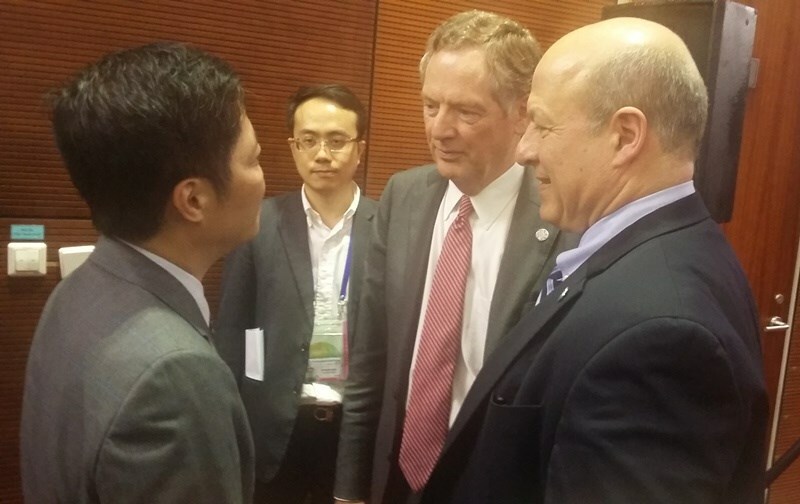 At the meeting, the US Trade Representative lauded Vietnam for successfully organising the 23rd APEC Ministers Responsible for Trade Meeting while affirming that the TIFA Council is an important mechanism to handle economic, trade and investment issues between the two nations. Both sides agreed to promote activities of the TIFA Council to address arising problems and further enhance economic relations between the two countries in the coming time.